Makoto Fujimoto grew up in California, but with a difference–his California is part of the United States of Japan. After Germany and Japan won WWII, the United States fell under their control. Growing up in this world, Mac plays portical games, haphazardly studies for the Imperial Exam, and dreams of becoming a mecha pilot. Only problem: Mac’s grades are terrible. His only hope is to pass the military exam and get into the prestigious mecha pilot training program at Berkeley Military Academy. I love trying new restaurants and exploring new cuisines, and because of that, I’m always curious what people eat in the worlds I read and write about. But I know my tastes are weird. Just the other day, I had Thai yellow curry with Korean kimchee, a croissant, raw garlic, and Chinese-style dumplings. The day before, I had nacho-styled fries with ramen and peanut butter and jam for dinner, which made my wife comment wryly on my strange palette. I like trying new combinations and sharing them with friends, sacrilegious as it may seem for the foodie puritans of the worlds. Mecha was my chance to share the weird cookbook of the United States of Japan. 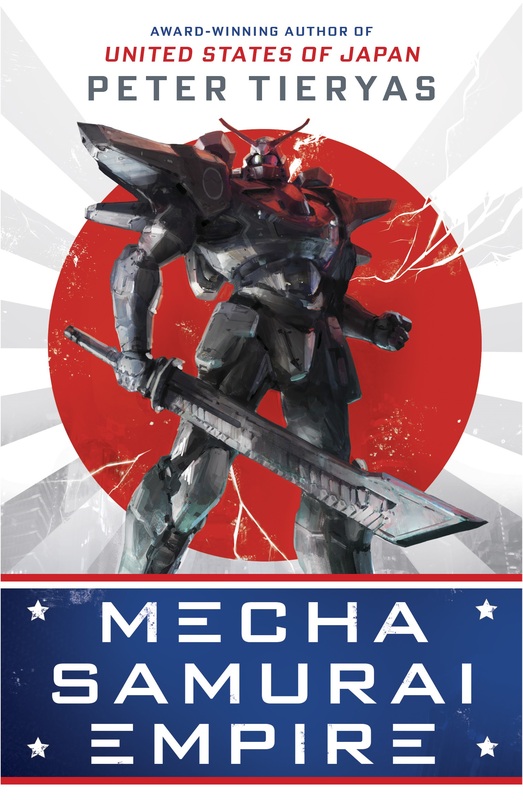 Mecha Samurai Empire is a very different book from United States of Japan. USJ focused on the tragedies of WWII on the Pacific side and was a dark mystery following a member of the thought police and a government censor through an authoritarian system. Mecha is about five cadets who are aspiring to be mecha pilots and revolves around their time at school, preparing for examinations, and learning about the history of their world. Of course, every study session and simulation test means the cadets need good food to recharge their juices. The five protagonists end up at the top mecha academy in the USJ. This allowed me to draw on my own university memories attending Berkeley, many of which were intertwined with food. My entire budget for a month, aside from rent, was $200 which included books, extracurricular activities, and food. It wasn’t much, so I used to strategize how to split one meal into three. I’d scour for coupons, find the best deals, and hit up a pizza joint for $1 slices on special sales days. My favorite places were La Burrita and the restaurants in what locals called the “Asian Ghetto.” Sit-down diners were generally too expensive for my budget. But all that fineagling led to creative approaches to sate my hunger. Which is why for me, food is such an important part of not just my life, but that of my characters. 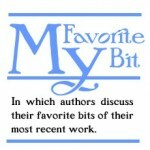 In my worldbuilding, one of the first questions I ask about each character is, what are their favorite and least favorite foods? Why? What does it tell us about their personality? Whether it’s a passion for sausages, or unusual concoctions blending five cuisines to completely awesome vegetarian meals, each of them has preferences and proclivities that go hand in hand with who they are. We take off our shoes and are given slippers (servers take away our shoes and store them until the end of the meal). “So vague as to mean anything,” Griselda says to me, as we both take our seats. I leave the food choices to her and go to use the bathroom. I stare in the mirror and see my eye has swollen. It looks like the entire side of my head has a bulbous mass popping out of it. I wonder about the question she asked: What if we do go to war with the Nazis? How would our friendship change? Even thinking about it gives me a headache as I can’t bear the thought of our being on opposing sides. I wash my eye before heading back to our table. One of the onmyoji brings out a covered plate on a tray. He uses his fingers, does a chant in Japanese, and suddenly, the plate cover floats away. I’ve never had a miso soup that is this rich with flavor, especially with the dried tuna from the Katsuobushi. The tofu practically melts in my mouth. We eat in silence, relishing the meal. The onmyoji brings out two mugs full of beer. “Prost!” I reply, as our cups clash. I take a sip. It tastes bitter, and I don’t like it at all. But when I look over, Griselda’s drunk almost half her cup. I force myself to drink a quarter before I have to stop. Two mugs later, I’m too full to drink any more. I still don’t feel anything until I stand up. I feel dizzy and stumble. Griselda catches me, laughing. “I feel like the whole planet is spinning around me,” I tell her. Amidst all the changes and distortions of the alternate history of Mecha Samurai Empire, my hope is that food is a common connection for readers in our own reality with their universe. One final cool coincidence from the original book; I wrote about a tempura shrimp burger, which was my version of mixing two loves, tempura shrimp and hamburgers. I was pleasantly surprised when the Japanese chain restaurant, Mos Burger, recently came out with a tempura shrimp burger. Tweets about the connection between USJ and the shrimp burger went viral in Japan and at a recent conference in which I was a guest of honor, they actually served tempura shrimp burgers. 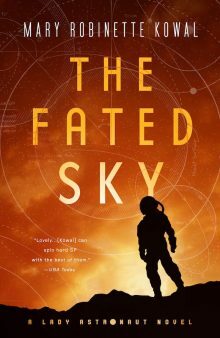 Other famous authors have presciently predicted fascinating trends in science through their fiction. I am happy to have predicted the shrimp tempura burger! Now I just need to go back to Japan to try it! Peter Tieryas is the author of Mecha Samurai Empire and United States of Japan, which won Japan’s top SF award, the Seiun. He’s written for Kotaku, S-F Magazine, Tor.com, and ZYZZYVA. He’s also been a technical writer for LucasArts, a VFX artist at Sony, and currently works in feature animation. For clarity, I believe he’s referring to the limited edition shrimp tempura rice burger that they introduced in early 2018.